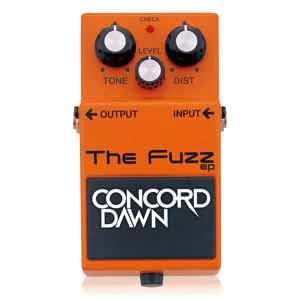 Concord Dawn brings us a hefty selection of dancefloor weapons on his latest EP, appropriately titled The Fuzz. The title track lives up to it’s name with a massive distorted bassline driving the tune along at full pelt over a backbone of rolling breaks. Scratchy follows a similar pattern, with a tearing bass and beats combo fit to destroy any dancefloor. Falling Down heads for slightly deeper territory, relaxing the bass vibrations to give Tali’s vocal line space to breath. Trenchcoat dials it back up again, bringing us another bassline led stomper with a fuzzy low end riff reminiscent of early Upbeats material and every bit as gnarly. Head over to Beatport to pick this one up now! As an added bonus, the man himself has cooked up a little minimix to promote the release. Check that out below! 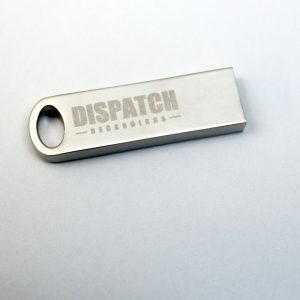 Dispatch present their latest innovation – a full album of previously unreleased material from Survival, available only on USB stick. Quite a fetching laser etched stick too – if you’re a fan of USB based DJing this should be right up your street. The album proves a nice mix of material, with Survival’s usual gritty tech-edged rollers sitting alongside some more unusual beats like the deep, downtempo vibes of In Two Minds. Check out clips of some of the tracks below and head over to the Dispatch Store to grab one (or to grab a blank USB stick in the same style). AutomAte round off their year with a fresh release from one of the label’s first artists, Fearful. Crisp, precise beats and growling basslines are the order of the day on this one, keeping things deep and dark. 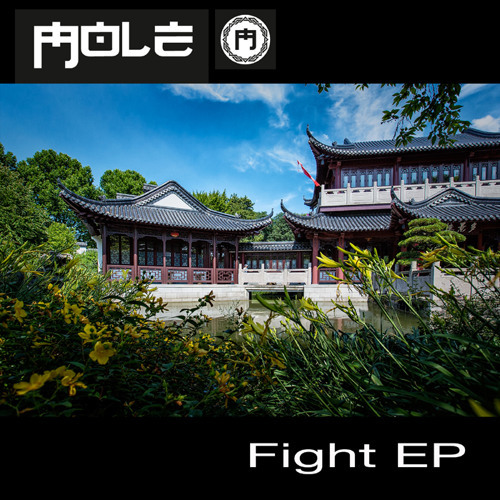 The EP also features remixes from Mtwn and Raiden; the former refixes the track into a skittering percussive workout with all the menace of the original but a distinctly different vibe, while the Offkey boss lends his signature tribal drum sounds to turn in a brooding mix for my pick of the three. Check out the clips below and look for this at all good digital stores from December 1st. 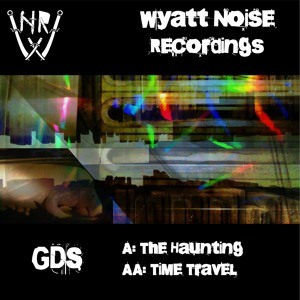 Wyatt Noise round off their year with a fresh single from label stalwart GDS. The Haunting combines rich atmospheres, crisp beats and growling bass for a nice slice of deep yet techy D&B, while Time Travel opts for rolling, melodic liquid but treads the line nicely, steering away from cheesy euphoria for a deep and quietly beautiful composition. Check out the clips below and grab this from your favourite digital store from December 1st. 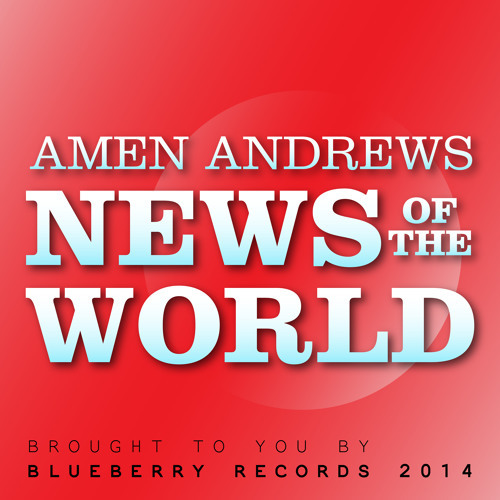 New material from Luke Vibert’s Amen Andrews aka is always a treat for jungle lovers and after a fairly lengthy hiatus he’s resurrected the project for an EP on Falty DL’s Blueberry Records. As you’d expect the four tracks on offer feature plenty of break chopping, random samping and a few IDM-tinged melodies, and those jungle snares are proving as irresistible as ever. Check out the first track below and head over to Bleep for full previews and purchase options. 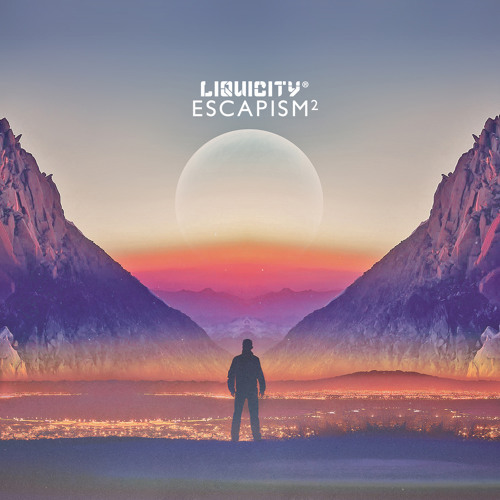 Liquicity return with a sequel to their successful Escapism LP and they’ve upped the stakes with another big selection of melodic liquid D&B featuring well known names and newcomers alike. Highlights come on the ultra deep, hypnotic vibes of Seba’s Lose Control, Maduk & Champion’s tasty relick of Future Prophecies classic September and the soft, understated melodies of Rameses B’s Memoirs VIP. The LP also features plenty of uplifting rollers from the likes of Logistics, Loz Contreras and Fliwo; dancefloor liquid fans definitely shouldn’t sleep on this. For a flavour of the tracks on offer you can head to the relevant Soundcloud or Youtube channels, or check out the promo mix from Hugh Hardie below. Head on over to the Liquicity store to grab this on CD or find the digital at your favourite outlet now. The latest release on Rush Records sees label boss Colossus providing two beautiful liquid rollers; rich melodies, crisp breaks and happy vibes all the way on these two. 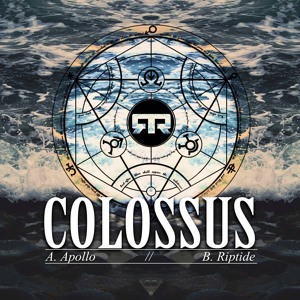 Apollo leads the single with a soft, inviting combo of guitar and piano while Riptide goes deeper, with warm sub and more understated piano licks. Check out the clips below and grab this one from your favourite digital store now. T3K’s “Extended” imprint return with a tidy little EP from Mole. Turn Up The Bass and Fight both deliver chunky neurofunk goodness worthy of the dancefloor, but for me this one is all about We Havin Fun‘s swung half-step beats; neuro bass at a less frantic pace. Check out the clips below and grab this one from your favourite digital store now. The latest EP from Fokuz features another fine selection of melodic liquid rollers, with tracks from BCee, RoyGreen & Protone and Rowpieces all gracing the release. The Spearhead boss gets the A side, with his customarily rich sound in full effect on the smooth, laid back Breath In. 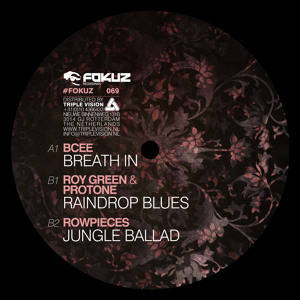 Over on the flip RoyGreen & Protone bring us a jazzy ode to precipitation, while Rowpieces showcases his finest break chopping skills on Jungle Ballad; no prizes for guessing the influence he might be drawing on for this one. Last but not least, digital buyers are treated to a nice bonus in the form of Renaisance, with RoyGreen and Protone going slightly off piste with a selection of unusual FX and atmospheres set to another crisp, rolling beat. All in all another fine Fokuz release! Check out the clips below and grab this on vinyl or digital from your favourite store now! 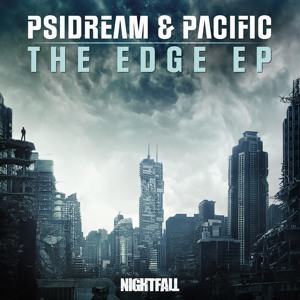 Canadian scene stalwarts Psidream & Pacific bring us the latest selection of neurofunk tearers via their own Nightfall imprint, and as you’d expect the beats are big and bad! All six tracks are well worthy of your attention but for me the highlights came on Not The Future and Chain Breaker. Check out the clips and make up your own mind – this one’s available at all good digital stores now!